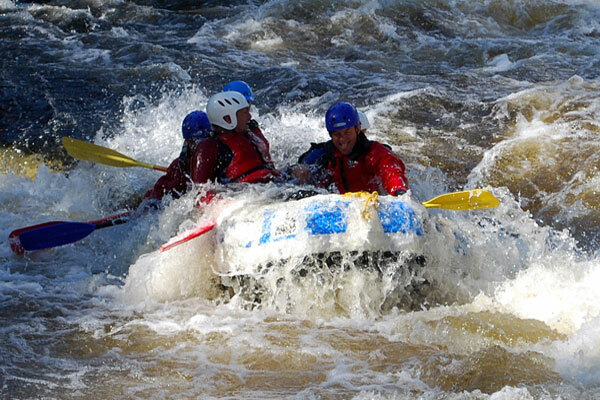 Active Highs run white water rafting near Oban on the River Awe. 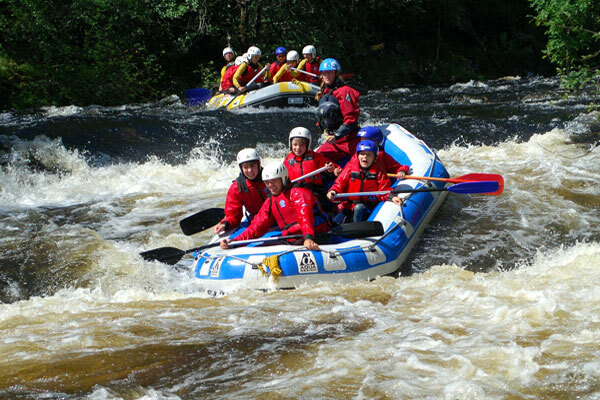 The River Awe is a fantastic grade 2 & 3 white water rafting trip which makes it great for families, young people and anyone looking for a fun half day out near Oban. 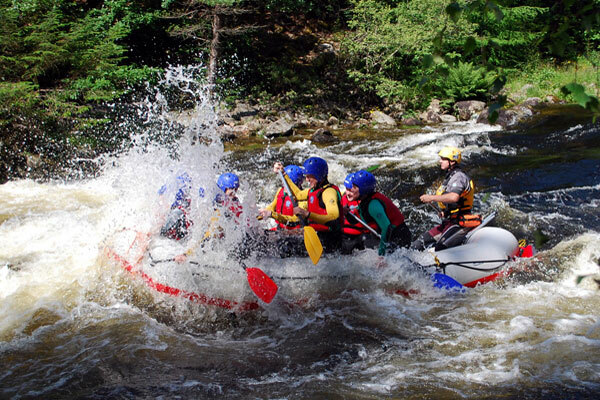 The River Awe has several shcuduled dam release dates throughout the year which are normally available from April onward. 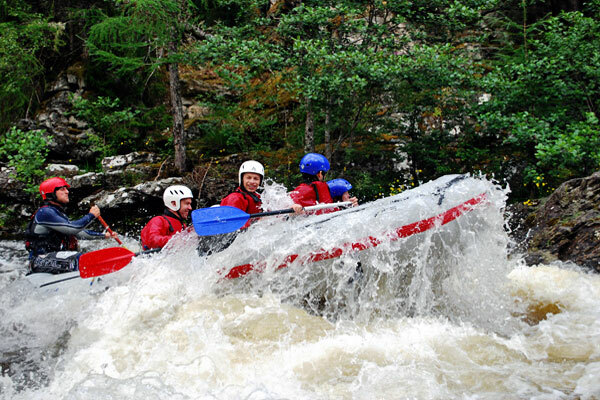 If you are visiting the Oban area and would like a more adventurous experience then The River Awe is also run in our white water funyaks which take you closer to the water. 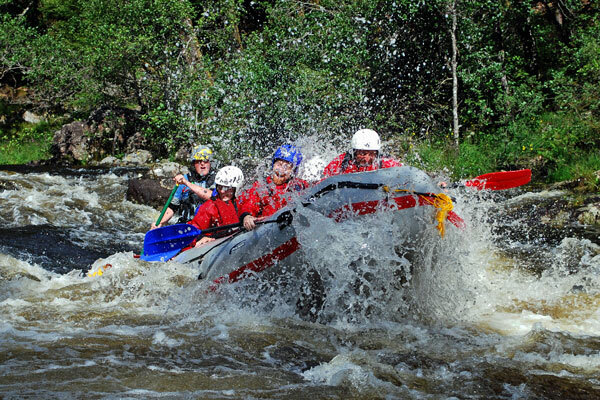 Paddling these 2 man inflatables with a partner down this section of river is a fun and exciting activity that will get your adrenaline racing! 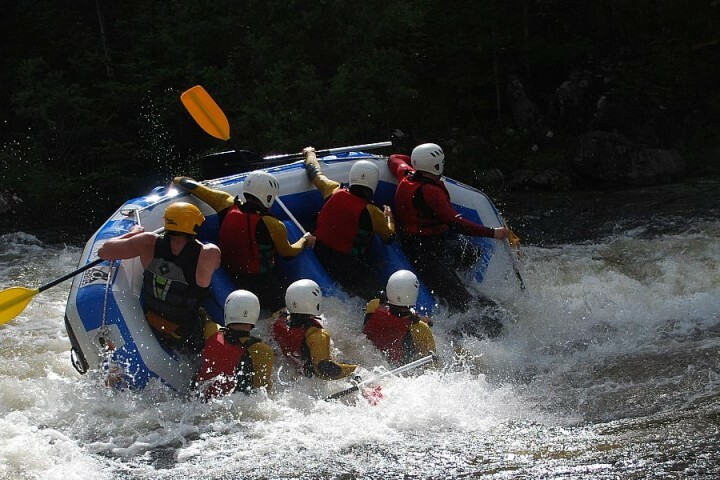 We do not currently open up white water rafting and funyakking to be booked online so please call or email us for further information.